The body of Sheila Abdus-Salaam, the first female Muslim judge in the United States, was found floating in the Hudson River Wednesday afternoon. The New York Post reports that Abdus-Salaam was discovered by witnesses who called 911. 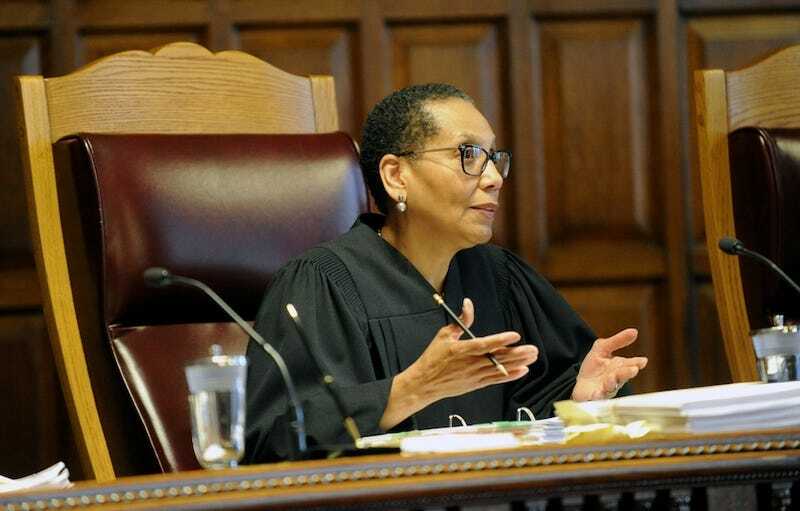 Abdus-Salaam, who was an associate judge on the Court of Appeals, had been reported missing from her Harlem home earlier Wednesday. Abdus-Salaam was not only the first female Muslim judge in the county; she was also the first black woman to be appointed to the Court of Appeals. She graduated from Columbia Law School and started her career as a staff attorney at East Brooklyn Legal Services and was elected to the Supreme Court in 1993. In 2013, New York Governor Andrew Cuomo appointed her to the Court of Appeals in 2013. Her law school classmate former US Attorney General Eric Holder was present at her swearing in ceremony and made note of how Abdus-Salaam had “defined herself by her relentless pursuit of excellence.” Per Holder at the time, she was also a fantastic dancer. Sources said to the Post that there appeared to be no signs of foul play and that her death was likely a suicide.